I’m going to show you the beautiful structural patterns of carnivorous plants, those parts of the plant both related and unrelated to eating things. From the shape of the cilia on Venus flytraps, to the light windows on Sarracenia, to the ribbed peristomes of Nepenthes and the overlooked stipules of sundews, there’s much for the hobbyist to observe beyond the macroscopic display of a well-grown plant. It’s like a miniature landscape, a whole world rarely visited by the sight of humans, but a world which our beloved plant’s insectoid prey is all too familiar with. 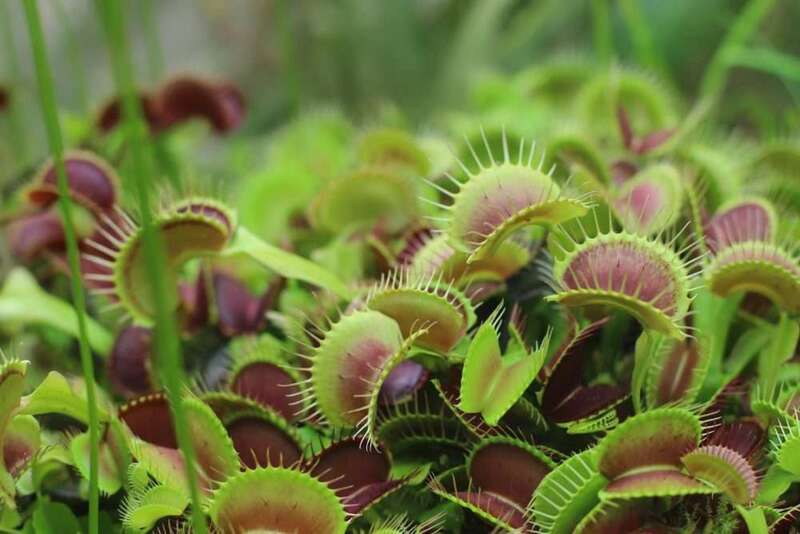 The first structure I want to take a peek at is larger than life: the prison-bar hairs of the Venus flytrap. For all its carnivory on display, it is Dionaea’s awesome cilia which are perhaps one of the most iconic floral attributes in the world. They subliminally hiss carnivory, as if the hairs themselves attracted prey and killed it. Perhaps that’s how we understand ourselves more than we understand the plant. We often imagine the functions of cilia (and much else) without lucid thought. Customers at the nursery I work for routinely “educate” each other while I shamelessly eavesdrop – “Now here, Nancy, are the teeth it chews with,” and then they contrarily stick their gross fingers in the gaping maw to test fate. Yes, Nancy honey, the plant bites. So don’t touch it. 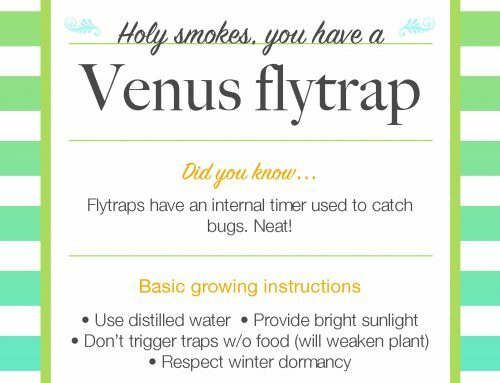 To this day the very silhouette of the flytrap incites in me a feeling that I had when first eyeing them at the florists’ shop, down the street from my childhood home. The half-moon lobes, beautifully arranged in whorled rosettes, looked less like plants and more like a dream. Ever since, I have always visited the florist’s corner of the grocery store first before buying anything, mulling about the orchid island in search of those toothy hairs on those carnivorous leaves. It is a circumambulation that this intense veneration for the flytrap is no doubt responsible for. And I am not alone. 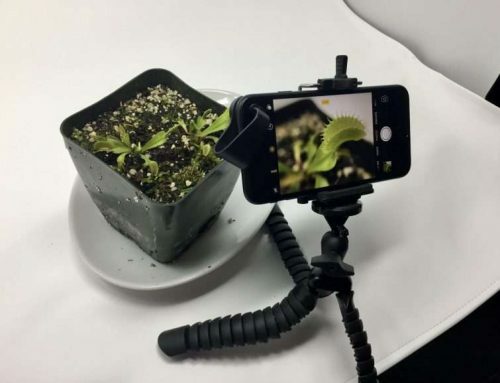 Truly, it does exist as a plant of a cult. The structures are elegant. From a distance, the cilia of the typical flytrap look almost like eyelashes. They might tickle your face when you pick it up to get a closer look. They are pigmented, often a deep red or vibrant green, and often white at the tips. You can even tell some varieties apart by the color of these hairs. But cilia are not simply hairs, as we might otherwise expect. In fact, they are triangular, slightly flat, and finish at a point. They are not rigid, but flex at the slightest touch of a finger. I have seen bees crawl over the cilia and only cause the uppermost third of it to bend – clearly the integrity of the tissue changes along its length. To prey, enfolded cilia are as strong and flexible as perhaps we would experience the limbs of a young tree. When folded over each other, such strength is imprisoning. Only very mighty prey, such as large hornets, have the power to move them. Cilia are narrow at their apex, and flexible. Sometimes they might fork for a millimeter or two. They widen at the base to merge with the leaf itself. They are mounted atop a sort of knuckled ridge, where bulbous structures beneath the cilia clearly delineate internal mechanisms of movement. The corresponding tissue on the internal part of the leaf is faintly lined internally with green venation, probably the organic machinery of entrapment. Indeed, when the leaf does shut, this ridge where the cilia merge flexes convex, and the leaf lobe itself flexes concave. The cilia all fall from a vertical to a horizontal orientation as the leaf closes. As the trap hinges shut, this is how the leaf forms a sealed purse, a stomach. The closed trap, not yet sealed but with cilia interlocked as if in prayer, is a fantastic yet ephemeral thing to observe. The leaf almost breathes closed around its prey, visibly sealing shut over a period of several minutes as the creature inside confusedly assails the trigger hairs again and again in search for a way out. 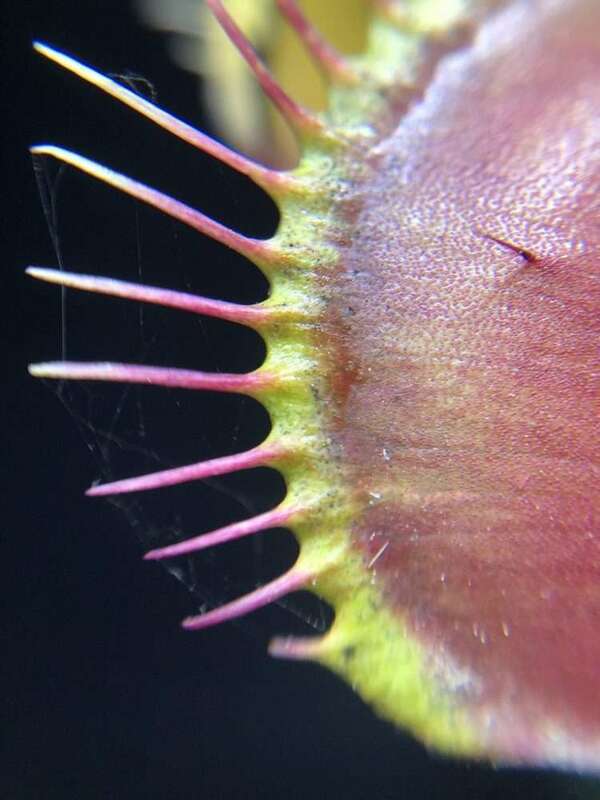 Without their double mohawk of cilia, flytraps consume fewer prey whole. Some find that the shorter, “Dentate” forms catch prey mostly by their heads – a split second between triggering the trap and a more complete closure is lost to the prey’s advantage when there are no interlocking teeth. Without cilia, flytraps would also appear innocuous among other foliage. Indeed, those varieties bred in horticulture which have shorter ones stand out with entirely different “personalities” than those bearing long phalanges. 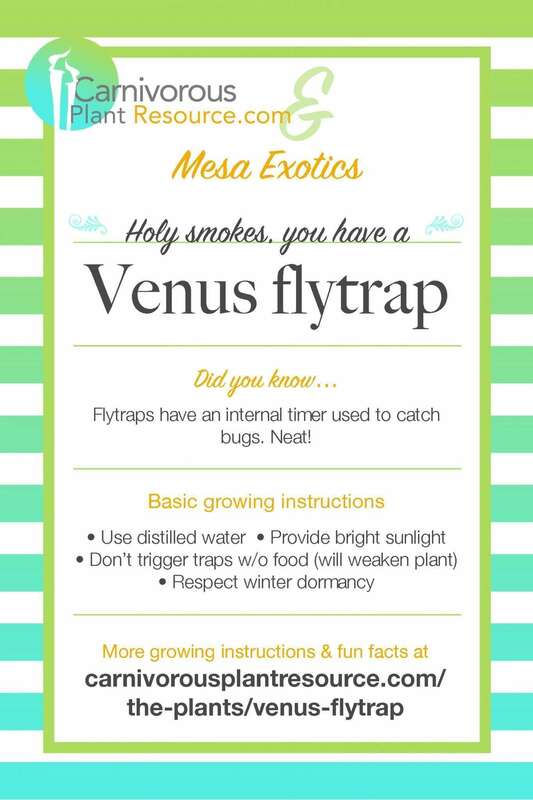 Without them, the Venus flytrap does not trap one’s eye as those that do. I've been growing CPs since 2001. My interest with them extends from a childlike fascination through horticulture and into international law and conservation. I am delighted to contribute to the CPR project and hope you find my submissions here both interesting and useful!